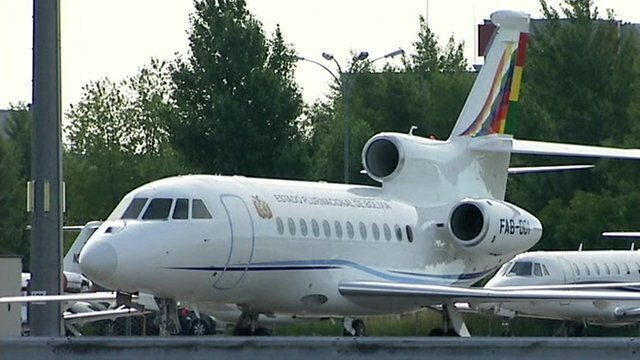 France apologises in Bolivia plane row Jump to media player France has apologised to Bolivia for refusing to allow President Evo Morales' jet into its airspace, blaming "conflicting information". Bolivia anger after Snowden 'tip-off' Jump to media player Bolivia has expressed its anger after their president's jet was forced to land in Austria on Tuesday night following a tip-off that the fugitive US spy agency contractor Edward Snowden was on board. Snowden on plane claims 'total lie' Jump to media player Bolivia denies US intelligence leaker Edward Snowden is on board President Evo Morales's plane, which is forced to divert to Austria. 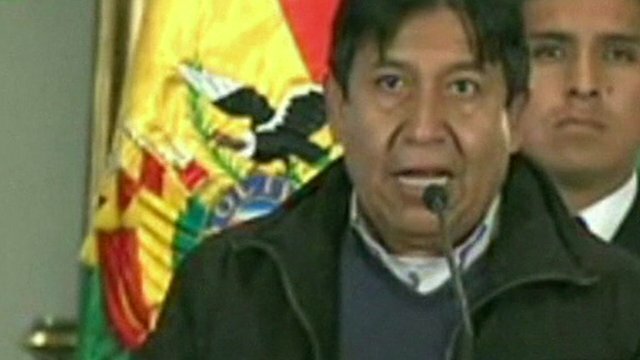 'Snowden suspicion' diverts Morales Jump to media player Bolivian President Evo Morales's plane had to be diverted to Austria amid suspicion that US intelligence leaker Edward Snowden was on board, the Bolivian foreign minister has said. 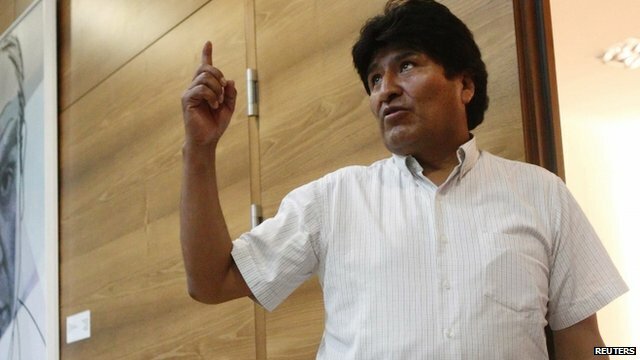 Bolivian president 'stranded' at airport Jump to media player The Bolivian government says a plane carrying President Evo Morales was blocked from entering some European airspace because of suspicions that the fugitive American intelligence analyst Edward Snowden was on board. 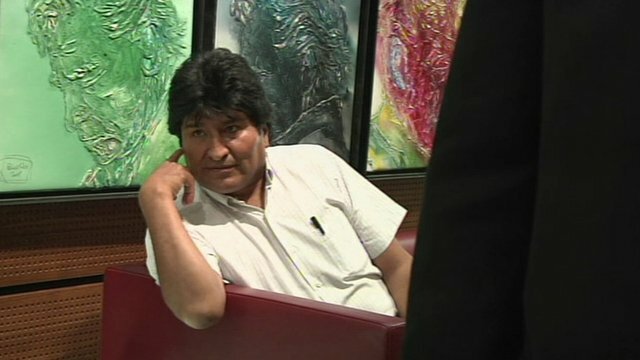 Bolivia accused France, Italy, Spain and Portugal of blocking the plane. It said some wrongly believed US fugitive Edward Snowden was on board. 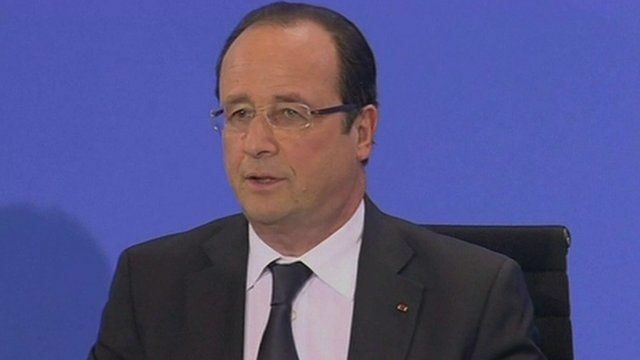 Speaking in Berlin, French President Francois Hollande said he granted permission as soon as he knew it was Mr Morales' plane.